As fury still raging over Israel’s decision to annex two mosques in the occupied West Bank, the world’s largest Muslim bloc has called for action over the provocative plan to add the two Muslim holy sites to the Jewish heritage sites. “The OIC Group stresses the illegality and illegitimacy of the Israeli government's decision and considers it as null and void and without any effect whatsoever,” the Organization of the Islamic Conference said in a statement read by Bashar Ja’afari, Syria’s permanent representative to the UN. Members of the 57-member organization met at the UN Headquarters to discuss Israel’s decision to add the Ibrahimi Mosque in Al-Khalil (Hebron) and Bilal Mosque in Bethlehem to its Jewish heritage sites. Hawkish Israeli Premier Binyamin Netanyahu added the two Muslim holy sites last week to a list of 150 so-called Jewish heritage sites that would be renovated to reconnect Israelis to their history. The two mosques were not included in the original plan which was first presented by Netanyahu on February 3. The Israeli decision has provoked anger inside the occupied Palestinian lands and drew worldwide condemnation. On Thursday, the US denounced the Israeli annexation plan as “provocative”. "We have raised this directly with the Israeli government," said US State Department spokesman PJ Crowley. "We have asked both parties to refrain from provocative and unilateral actions that undermine efforts to resume negotiations to end the conflict." 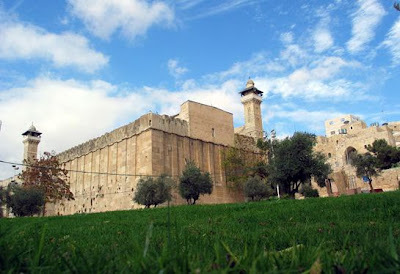 Built in 635 A.D., the Ibrahimi Mosque is one of the first Muslim worship places in Palestine. 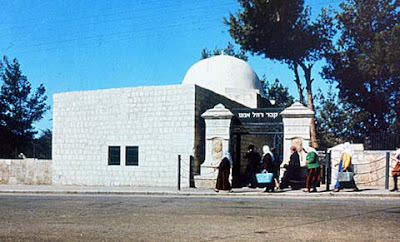 But Jewish extremists claim the two sites, known to Israelis as the Cave of the Patriachs and Rachel's Tomb, belong to historical Jewish heritage. The mosques’ annexation plan has even sparked furor inside Israel. "Netanyahu has shown once again that he is incapable of standing up to pressure," mass-circulation daily Haaretz said. It described the hard-line premier a "master pyromaniac", recalling that it was Netanyahu who during a previous term as premier in 1996 sparked bloody riots in Al-Quds (occupied East Jerusalem) by ordering the opening of a tunnel under the Al-Asqa mosque. Protests have swept the occupied Palestinian lands since the Israeli decision, with daily clashes between stone-throwing Palestinians and occupation forces. Palestinian organizations declared Friday, which commemorates the birthday of Prophet Muhammad (peace and blessing be upon him), a day of popular protest across the occupied lands.